Carbon graphite is one of three forms of elemental carbon (indicated as "C" on the periodic table of elements) found in nature; the other two elemental carbon forms are diamond and coal. It is found in veins, fissures and pockets throughout the world, with the most abundant sources being found in Ceylon, West Germany, and North and South Korea. Carbon graphite is black to steel-gray in color and has a texture that is very soft and greaselike. Its molecular structure is hexagonal and it is found in nature in crystalline form as graphite and in amorphous (having no particular shape) forms as graphite, charcoal, coal and soot. Carbon graphite is a good conductor of electricity and has high refractory qualities, meaning it stands up well to high temperatures and wear. Because of this, flake graphite is used to manufacture dry-cell batteries, carbon electrodes, plates and brushes in the electrical industry. Both flake and crystalline graphite were once used to make lab crucibles, but have been replaced by synthetic graphite. Graphite is used in paints and pencils and when suspended in oil it is used as a lubricant for bearings. High-purity graphite bricks are used as moderators in atomic and nuclear reactors. Graphite in the form of coke is produced by heating soft coal in an oxygen-starved furnace. The coke is then used in large amounts as a hardener in making steel. In ancient Rome, educated men used a writing instrument called a stylus to write on sheets of papyrus. Styli were often made of lead. 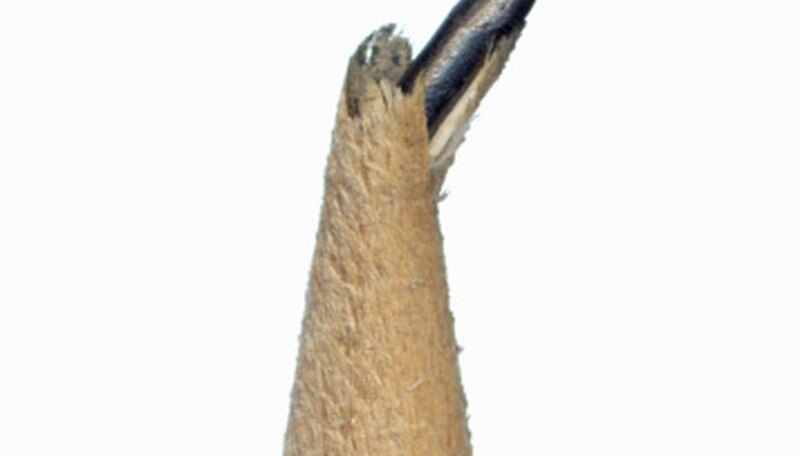 In modern times the inside of a pencil is still referred to as its "lead," but it is really made of carbon graphite. In 1985, a new form of pure carbon was discovered that is made up of 60 to 70 carbon atoms that are squeezed together to suggest the appearance of a soccer ball. These balls were named buckminsterfullerenes, and are called fullerenes or buckyballs, after R. Buckminster Fuller, the designer of the geodesic dome, which their faceted shape suggests. Simms, Mary. "Uses of Carbon Graphite." Sciencing, https://sciencing.com/info-8190454-uses-carbon-graphite.html. 09 January 2018.